I used my Garmin Forerunner 305 during my City Slickers Endurance Ride. I got great reception and it helped me pace my horse through the entire ride to hit my pacing goal. 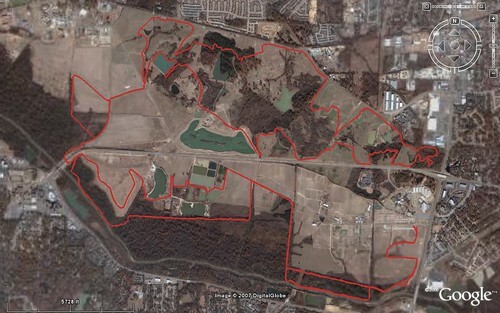 Here is a picture of the entire trail overlaid on Google Earth. I also uploaded my GPS data to MotionBased.com.